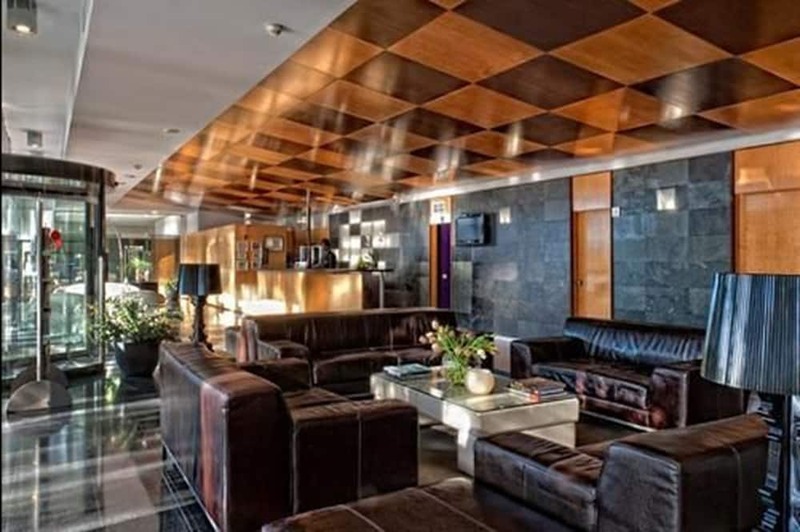 Located in Sants-Montjuic, Best Western Plus Hotel Alfa Aeropuerto is within a 10-minute drive of popular attractions such as Placa d'Espanya and Fira Barcelona. This 4-star hotel welcomes guests with 100 rooms and conveniences like an indoor pool, free in-room WiFi, and a free airport shuttle. Enjoy a leisurely bite to eat at the on-site restaurant, or have a drink at the bar/lounge. Order from room service to satisfy your hunger without leaving your room. For your convenience, a buffet breakfast is available for a fee. Guests can expect to find free WiFi. The bathroom offers hairdryers and free toiletries. Other standard amenities include a minibar, a safe and an ironing board. At Best Western Plus Hotel Alfa Aeropuerto, guests have access to an indoor pool, a sauna, and a rooftop terrace. If you drive, self parking is EUR 9.68 per day, or you can take advantage of the free airport shuttle (available during limited hours). The 24-hour front desk has multilingual staff ready to assist with luggage storage and dry cleaning/laundry. Additional amenities include free WiFi in public areas, a meeting room, and free newspapers. Best Western Plus Hotel Alfa Aeropuerto features an indoor pool and a sauna. The hotel offers a restaurant. A bar/lounge is on site where guests can unwind with a drink. Wireless Internet access is complimentary. Event facilities measuring 1528 square feet (142 square metres) include meeting rooms. This business-friendly hotel also offers a rooftop terrace, multilingual staff and a garden. A roundtrip airport shuttle is complimentary for guests (available during limited hours). On-site parking is available (surcharge). Pets are allowed for an extra charge of EUR 22.00 per pet. Cash transactions at this property cannot exceed EUR 2500 due to national regulations. For further details, please contact the property using the information in the booking confirmation. This property offers transfers from the airport. Guests must contact the property with arrival details before travel, using the contact information on the booking confirmation. Guests can arrange to bring pets by contacting the property directly, using the contact information on the booking confirmation (surcharges apply and can be found in the Fees section).